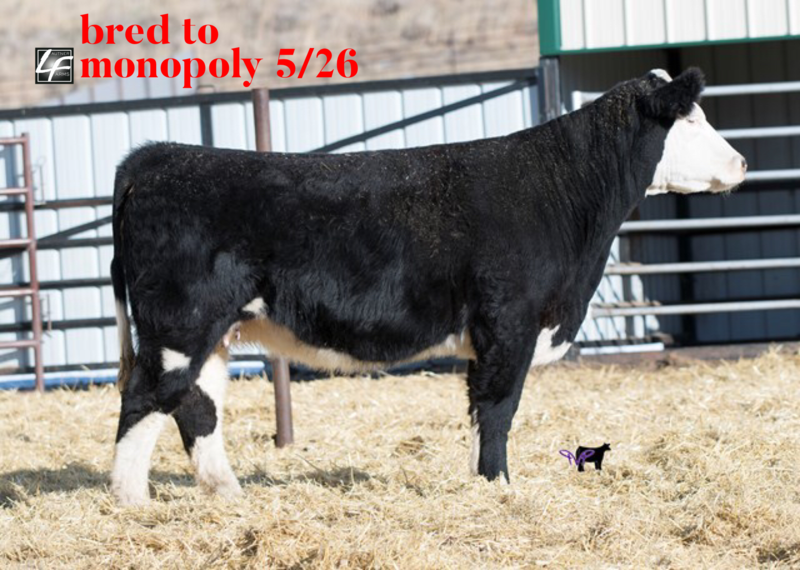 AI 5/26 Monopoly. Here’s a super cool looking colored up deal! Grand Torino was a Hereford bull that Eric Gabel had or used. 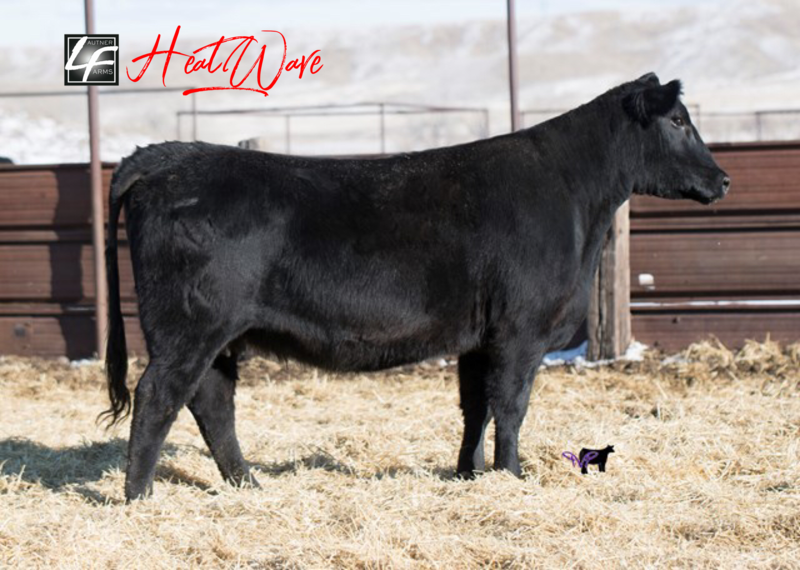 He had a set of those herferord heifers out of GT in the yards in Denver a few years back that were Damn good! Don’t be fooled by these young cows. They are not as old and mature as the older cows on this sale but they will grow up to look just like em! Youll be real glad you bought this one when she lays down and has one of them good baldy’s! AI 5/27 Primo. So here you go. Everybody tells me that Heatwaves that milk and have a pelvis are the best showcattle producers that walk! Well the science is done here. This one had a 85# Titan bull calf on her own and had more than enough milk to get him to 600# at weaning time with no creep feed in a short grass pasture! This is a really maternal looking Heatwave cow. Her Titan steer calf really should have been clipped and sold this fall but there just isn’t enough time around this place anymore! I guarantee you Primo is a good choice here! AI 5/27 Primo. Just about the same as the lot before her. Another Heatwave that had a 90# Titan bull calf on her own and had him weighing 600# this fall. This one has a tick more body than her sister before her. When we breed these second calvers we have been using mostly Style and Primo on the crossbreds and we are hoping for heifers. Come see our replacement pen and you will know why! 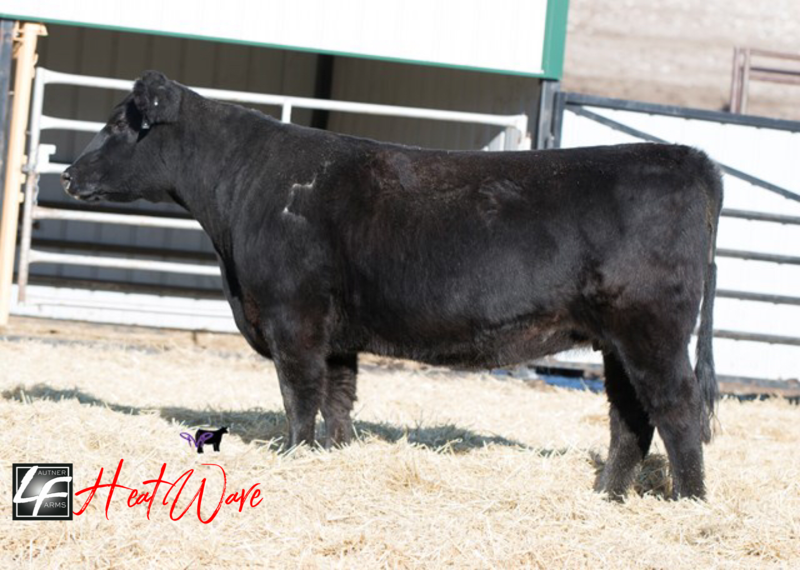 A Primo Heifer out of this cow would be just what the doctor ordred! Trust me, I am a doctor!